Credit unions offers a wide range of financial products and services. Along with traditional savings accounts, they include business accounts, student accounts and lending services, as well as innovative online and mobile services, to name a few. This array of financial products and services are not always found at other financial institutions, including banks. Make sure your accounts are set up so that you can take advantage of this extra protection by contacting a Member Services Representative at 021 4303394. Your loan attracts FREE Loan Protection Insurance! Unlike other financial institutions this insurance is FREE to you. While our insurance services do not relieve the emotional stress at this difficult time, they do go some way to relieve the financial stress. Is your Nomination Up To Date? Loan Protection Insurance is designed to clear your loan in the event of death (terms and conditions apply). 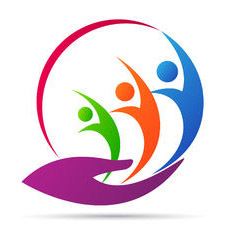 You can borrow in confidence knowing that your family will not have to repay any outstanding loan balance (up to certain limits) in the event of your death or permanent disability. 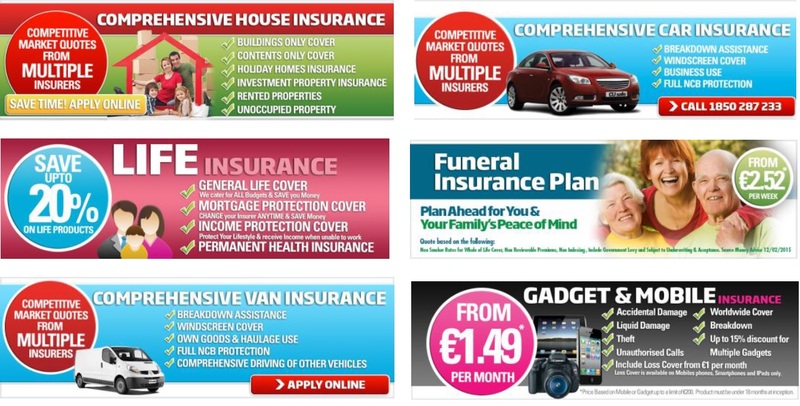 For death All members’ loans (up to age 84) are automatically insured up to €8,000. Loan balances greater than these limits are subject to completing a Member Declaration on the back of the loan application form and/or a Declaration of Health Form. The underwriters have the right to decline or restrict cover for members with serious medical conditions. ECCU are the underwriters of Loan Protection Insurance. Where the cover is not automatically granted, ECCU reserves the right to request further medical information or request the member to attend for a medical examination. It is important that members accurately complete any requested forms or declarations as any inaccuracies or misstatement of facts will result in a claim being declined. To make a claim please provide Gurranabraher Credit union with a copy of the Death Certificate. If a Nomination is in place, monies will be paid out as requested in the Nomination. If a Nomination is not available please provide details of the Solicitor handling the member’s estate and a copy of the Will (if applicable). Please note just one copy of the Death Certificate is required to claim for all 3 insurance services; Life Savings Insurance, Loan Protection Insurance and Death Benefit Insurance. Claims Forms are available in Gurranabraher Credit Union. Once filled in please return to Gurranabraher Credit Union and we will submit your claim on your behalf. It is important that you keep in contact with your Medical Practitioner to ensure that your claim form is filled in full and in a timely manner. Members over 16 years are encouraged to nominate a person(s) to receive their credit union property in the event of their death. The maximum amount you can nominate is €23,000. This means that on your death, your savings will not form part of your estate and can be distributed without delay to the person(s) you have named on your Nomination Form. As a Nomination overrides a Will, we encourage members to complete a Nomination and keep it up to date. You can update your Nomination any time at Gurranabraher Credit Union. Members under 16 years are not eligible to complete a Nomination Form. A member cannot nominate an Officer of Gurranabraher Credit Union unless that person is a member of the Officer’s family. The Nomination is valid up to a limit of €23,000. Any amount above €23,000 becomes part of the member’s estate. The member can at any time change their Nomination by completing a new Nomination Form. Any previous Nomination will automatically be cancelled. A Nomination overrides a Will so it’s important to have one and keep it up to date. The marriage of a member of Gurranabraher Credit Union cancels any Nomination made by him/her before his/her marriage. This applies even if the same person is to be nominated. A Nomination shall be cancelled by the death of the Nominee before the death of the Nominator. The form of Nomination must be made at the registered office of Gurranabraher Credit Union during the Nominator’s lifetime. Once Gurranabraher Credit Union receives satisfactory proof of death of the member, the account and monies will be processed. To fill in a Nomination Form call in to our offices in Gurranabraher, or Knocknaheeny with Photographic ID. Your savings attracts FREE Life Cover! Unlike other financial institutions this service is FREE to you. What is Life Savings Insurance? Life Savings Insurance is an additional incentive for you to save regularly and maintain saving with Gurranabraher Credit Union. In the event of your death, in addition to your Shares (Savings), your nominated person(s) will receive an additional lump sum of money from Life Savings Insurance. The amount insured will depend on your age at date of death and how much you saved with Gurranabraher Credit Union over the years. The maximum benefit is €5,000. Shares in excess of €5,000 and shares lodged after your 70th birthday do not earn any Life Savings Insurance. Withdrawal of Shares will impact on the amount of Life Insurance Cover received. Where possible, we would encourage members aged 55 years and over to borrow on the strength of their savings and not to withdraw from Shares. To be eligible you must be a Gurranabraher Credit Union member before your 70th Birthday, are actively at work, or if not working, are in good health. Other terms and conditions may apply. To make a claim please provide Gurranabraher Credit union with a copy of the Death Certificate. If a Nomination is in place, monies will be paid out as requested in the Nomination. If a Nomination is not available please provide details of the Solicitor handling the member’s estate and a copy of the Will (if applicable). Please note just one copy of the Death Certificate is required to claim for all 3 insurance services; Life Savings Insurance, Loan Protection Insurance and Death Benefit Insurance. For further information please contact Gurranabraher Credit Union on 021 4303394 or request a call back. Your savings may attract a lump sum payment towards your funeral expenses. (Subject to terms and conditions). Your savings attracts €4000 towards funeral expenses and is payable in the event of your death. The annual premium is paid jointly between the member and Gurranabraher Credit Union. Members approve the annual premium at our Annual General Meeting. Once approved, the members portion of the total Annual Premium will be deducted from one of their accounts; €30.00 per Adult Member and €5.00 for Youth Members. Gurranabraher Credit Union pays the remainder of the total annual premium. You have paid the annual premium (deducted from one your accounts . You joined before the age of 70. You have at least €100 in your Savings at the date of the agm (this does not apply to members under 16 years of age). To make a claim please provide Gurranabraher Credit Union with a copy of the Death Certificate. For further information please contact Gurranabraher Credit Union on 021 403394 or click here to request a call back. Click the tabs below for more information on discounts for insurance with Gurranabraher Credit Union membership. To obtain your discount tell them you are a Gurranabraher Credit Union member. Terms and conditions apply. For your own security and to help AXA improve their service they may record or monitor phone calls. AXA Insurance Limited is regulated by the Central Bank of Ireland. AXA Travel Insurance is authorised by the Central Bank of Ireland as an Insurance Intermediary and is underwritten by Inter Partner Assistance S.A. Brussels. Great Deals available to Gurranabraher Credit Union members with coveru.ie for Motor, Home and Travel Insurance visit coveru.ie or Phone them on 1890 410 410. To obtain your discount tell them you are a Gurranabraher Credit Union member. CUSafe apply REAL Member Discounts Competitive Market Quotations Take the work out of Your Renewal!